Green Pebbles A Passion for Luxury Fashion and Watches: LANVIN'S SPLASHES OF COLOURS - WE LOVE IT! 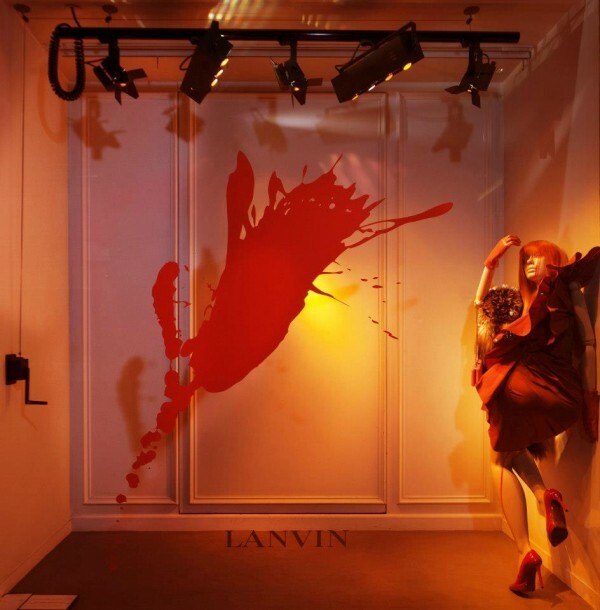 LANVIN'S SPLASHES OF COLOURS - WE LOVE IT! 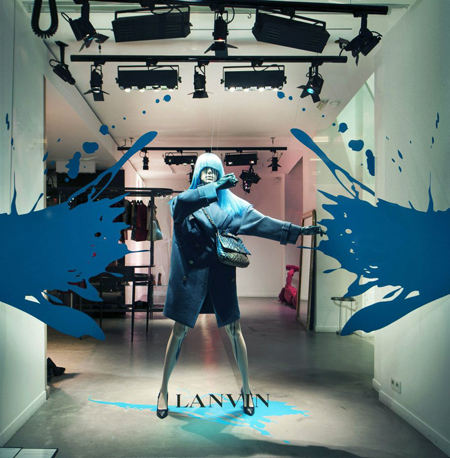 The Green Pebbles Girls are absolutely loving LANVIN's new 'SPLASH' windows at their 22 Rue de Faubourg Sant Honoré flagship store in Paris! 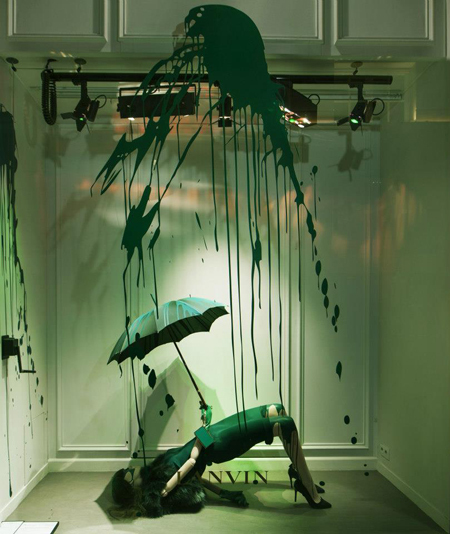 The windows showcase their Autumn Winter 2012 collections with splashes of paint and manequins in 'moving' positions. Some critics have suggested it looks a bit gruesome - but we think it looks fantastic! Talk about a window coming to life! 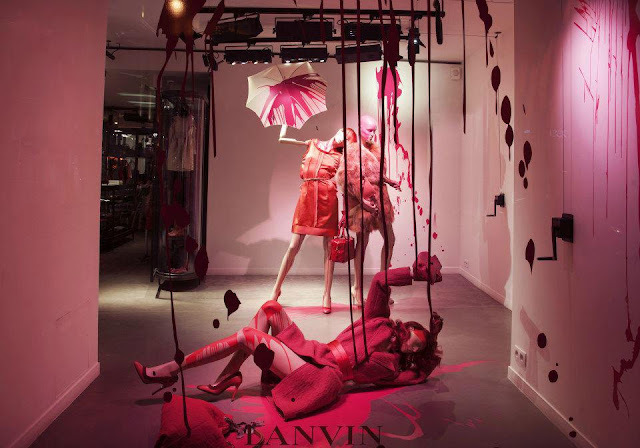 Images via LANVIN facebook page. ANYA SUSHKO SAMPLE SALE NOW ONLINE!